Golf Coaching for committed golfers in Ireland. BECOME THE GOLFER YOU ALWAYS WANTED TO BE. If you are looking for golf coaching in Northern Ireland, make an appointment to see Chris Jelly at the Laganview Golf Centre between Belfast and Lisburn. Chris is one of the sought after golf coaches in Ireland. He coaches the Irish Girls Team and is Golfing Union of Ireland Ulster Provincial Coach. Chris is available at times to accommodate every working lifestyle and encourages post lesson communication to ensure maximum understanding and enhanced progression. All prices include range balls. 6 x 60 min lessons for the price of 5. Payment up front. £275. 6 x 30 min lessons for the price of 5. Payment up front. £150. 3 x 60 min lessons. Valid for 3 months. Payment up front. £150. 6 x 30 min lessons. Valid for 3 months. Payment up front. £150. 3 x 60 min lessons. Valid for 3 months. Payment up front. £99. 6 x 30 min lessons. Valid for 3 months. Payment up front. £99. 9 hole playing lesson £70. 18 hole playing lesson £130. 12 Month Development Programmes. Payment Up Front. From £500. Become the golfer you know you can be with one of my 12 month development packages. Playing review of your game so that I can observe and assess your game. (Your Green Fee not included). Discuss and agree goals and expectations. A structured bespoke tuition plan to transform your game and reach your golf objectives. Access to me by email or phone at any time. 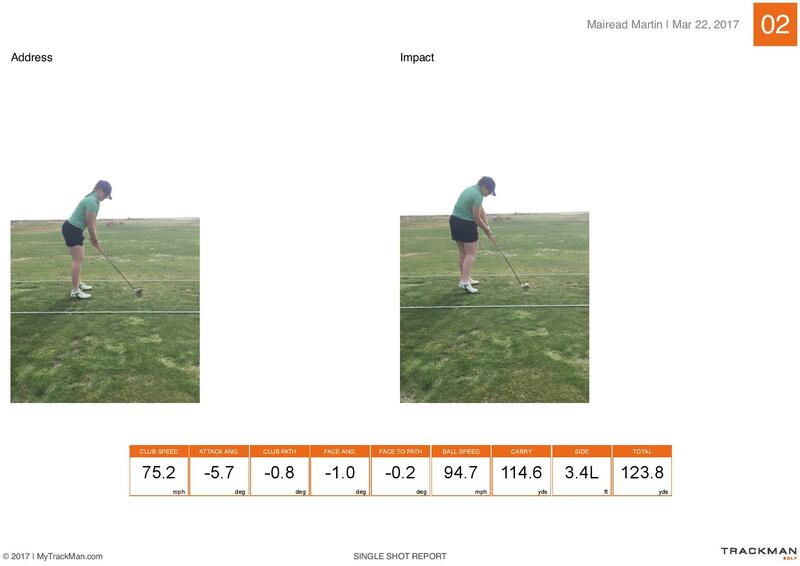 Use of Trackman 4, including the new Trackman Putting Module, and Video analysis when needed. 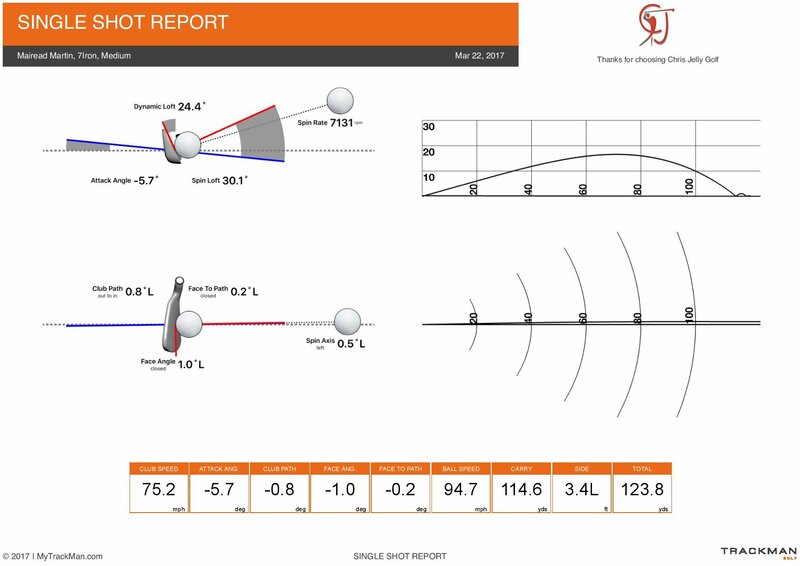 Trackman Reports from each Lesson and exercises to help your game. BIRDIE 12 month Coaching Programme. £500. ONE 60 min lesson per month. 9 hole playing review per year. Continuous support available by text or email. Includes range balls. Payment at time of booking. EAGLE 12 month Coaching Programme. £900. MOST POPULAR. TWO 60 min lessons per month. 18 hole playing review per year. Continuous support available by text or email. Includes range balls. Payment at time of booking. THREE 60 min lessons per month. 18 hole playing review per year. Continuous support available by text or email. Includes range balls. Payment at time of booking. NATIONAL PLAYERS AND PANELISTS. 12 Month Development Programmes. Payment Up Front. From £450. BIRDIE 12 month Coaching Programme. £450. EAGLE 12 month Coaching Programme. £800. MOST POPULAR. Become the golfer you know you can be. Free 9 hole review of your game so that I can observe and assess your game. (Your Green Fee not included). 12 lessons per year. Payment up front £500. Payment by monthly standing order – £50/month. 24 lessons per year. Payment up front £900. Payment by monthly standing order – £90/month. 36 lessons per year. Payment up front £1200. Payment by monthly standing order – £120/month. 12 lessons per year. Payment up front £450. Payment by monthly standing order – £45/month. 24 lessons per year. Payment up front £800. Payment by monthly standing order – £80/month. 36 lessons per year. Payment up front £1050. Payment by monthly standing order – £105/month. 12 lessons per year. Payment up front £400. Payment by monthly standing order – £40/month. 24 lessons per year. Payment up front £750. Payment by monthly standing order – £75/month. 36 lessons per year. Payment up front £1000. Payment by monthly standing order – £100/month. Make the game easier with Chris. Play better. Enjoy the game more!